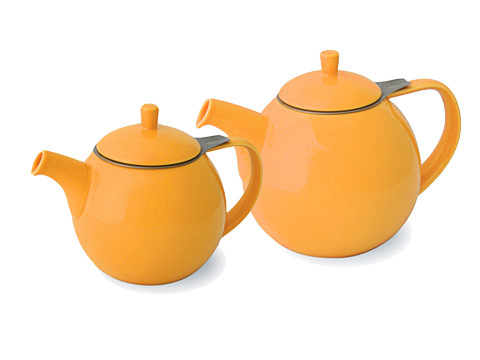 Teapots in brown, yellow, and orange. 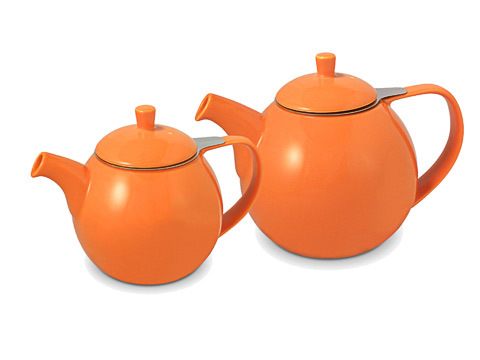 A collection of teapots in brown, yellow, and orange from many manufacturers. Sizes range from 16 to 60 ounces. Choose the style that suits your taste. 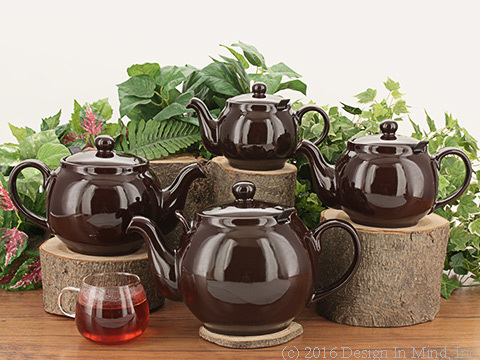 The Brown BeeHouse teapot (22 0z., 3 cup) has a rust colored brown reactive glaze, slightly speckled and more intense at the spout, rim and handle edges. 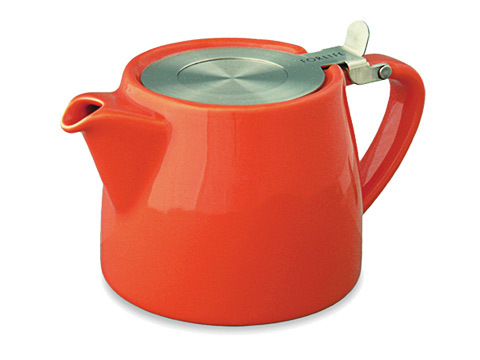 The Carrot orange BeeHouse teapot is 22 0z and holds about 3 teacup size servings. The orange color has a slight peach tone to it. Shown with the Rainforest Tea Quilt tea cozy in a personal size. 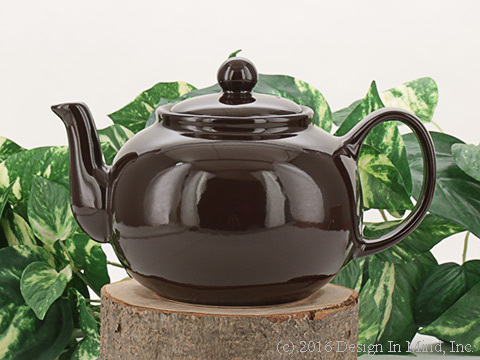 The BeeHouse Cream teapot has an uneven surface with natural brown specks and would be a great complement to any neutral decor. 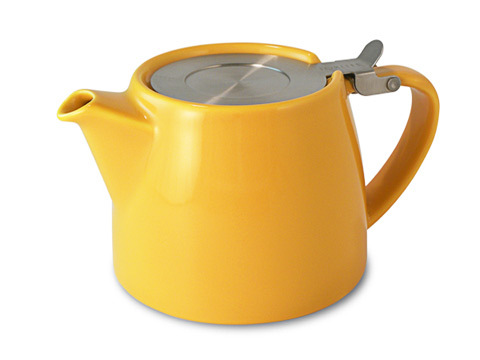 Stainless infuser, 22 oz. The Matte Ivory BeeHouse 22 oz. 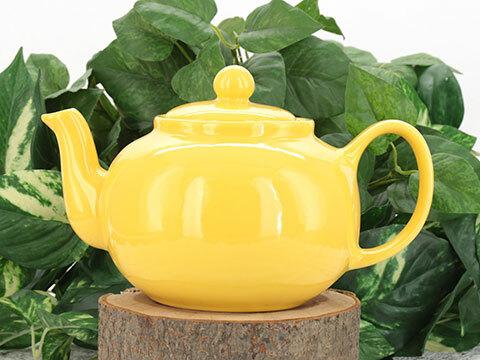 teapot has a lovely butter-cream color matte finish, with raised white specks of porcelain showing through. It has a real craftsmen-like quality. Shown with the Senzai Tea Quilt tea cozy from our Oriental group.